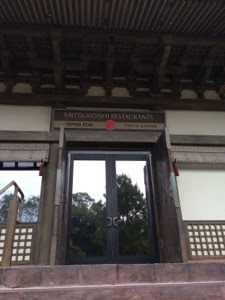 A couple of weeks ago, Mary Roelle, one of my blog readers, wrote a great review of her family's breakfast at Chef Mickey's. During her recent trip to Disney World, she dined with her sister Jennie and their children at Teppan Edo in Epcot. 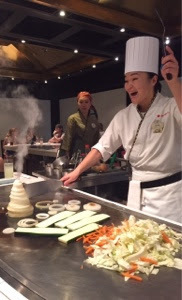 One of my family’s favorite places to dine is Teppan Edo, located in the Japan Pavilion at Epcot. It is not just a place to eat; it is a dining experience. The meal is prepared at the table by the chef, and it is a fun event for the entire family. 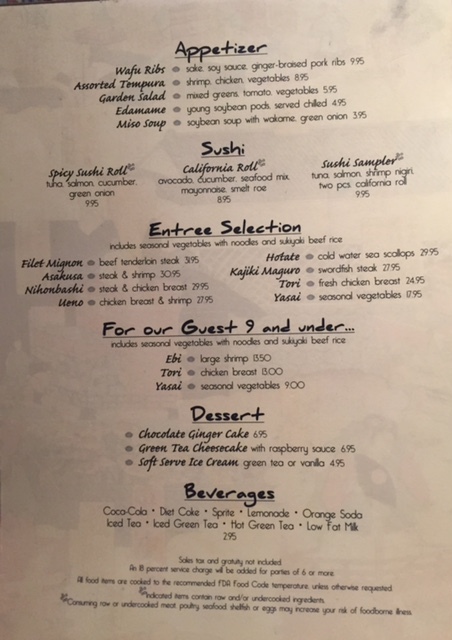 Our family always chooses Teppan Edo because of the incredible gluten free offerings. During our latest visit in July, we were thrilled to walk up at noon and find a table open without advance dining reservations. What a wonderful surprise! It is a terrific place to go with a large crowd, because the tables fit eight people, and we had a party of seven. I was traveling with my two children, my sister Mary, and her three children. If you have a smaller party, you will be placed with another family. We were greeted by the manager, Garin. We explained to Garin that five of our party members are gluten free. My two daughters and my niece have celiac disease, and my sister and I choose to eat gluten free as well. My fourteen-year-old daughter is highly sensitive, so contamination is always a big concern. Garin was very kind, and explained that everything can be prepared gluten free, except the noodles. Our table was supplied with gluten free soy sauce, and the chef prepared a cream sauce gluten free. Our meal began with sushi. This was a true treat because not many restaurants offer gluten free sushi, and my daughters both love it. We enjoyed an appetizer of the sushi sampler, which included tuna, salmon, shrimp nigiri, and California rolls. 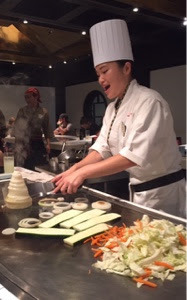 Our chef, Ayumi, was fabulous. She entertained our party with high flying utensils and smoking onions stacked to represent a volcano. As she cut the tails from the shrimp, she tossed them into the air and caught them on the top of her hat. The kids loved every minute. It was a real show! Ayumi next prepared our main meals. She began by scouring the 500 degree cooking surface to clean it of all contamination. That was impressive. She then placed the shrimp, chicken, steak, and swordfish at various areas of the surface. My sister Mary had shrimp and steak. She told me that is was fabulous, and the steak was grilled to perfection. The meat was a perfect cut. My fourteen-year-old daughter had swordfish. She raved about her lunch. My ten year-old-daughter and my ten-year-old niece each ordered the shrimp, and I had shrimp and chicken. We all could not be happier. My seven-year-old twin nephews, who do not have celiac, enjoyed chicken and shrimp. All of our meals were prepared with a side dish of a vegetable combination of cabbage, onions, zucchini, and carrots. It was quite tasty! It is not something I would normally choose to eat, but I was happily surprised at the taste. The entire atmosphere was festive, and we enjoyed our afternoon. The gluten free options are outstanding. It was a safe and fun place to dine for those who suffer from celiac disease. Thank you Teppan Edo! A big thank you to Jennie for sharing her family's experience at Teppan Edo. You can read more about Teppan Edo, and make advance dining reservations on Disney's website here. Jennie Amato loves visiting Disney World, and eating at new restaurants during every trip. Because her daughters both have celiac disease, Jennie has become an advocate for better tasting, kid-friendly gluten free food. Jennie is an attorney who has a passion for helping people, and she loves karate, reading, gardening, and spending time with her husband and daughters. Mary and Jennie recently started a blog called The Celiac Pack, which you can view here. We used to love hibachi until our 4 year old daughter was diagnosed with celiac. Can you explain in more detail how they clean the grill to avoid cross-contamination? Thanks! Laura - They can make her food in the back if you decide you are not comfortable with how they clean the hibachi. Hey! 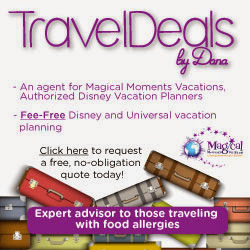 Thank you for all your info on eating gluten free in Disney! My family and I are traveling to Disney this fall and are looking at different restaurants to eat at on our trip. We have always loved Hibachi but haven't eaten it in years because of the gluten. 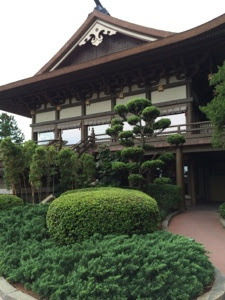 When talking with the special diets team at Disney they said they cannot offer any information on Teppan Edo because it isn't owned by Disney. I would hate to make a reservation and get there to find out they have nothing we can eat. I'm sure you can understand my hesitancy. So I guess my question is this review was from 2015, do you know if they still offer gluten free options? Thanks! As far as I know, nothing has changed at Teppan Edo, and they still have gluten free options. Even non-Disney restaurants at Disney are accommodating, though some more than others. Thank you for all you do in providing info for us gluten free folks!! My family is traveling to disney in the fall and we are looking at restaurants that we can eat at. Disney won't confirm for me that there are gluten free options here. This review was from 2015, so my question is do you know if they still offer gluten free options here? I don't want to make a reservation and get there to find out there isn't anything we can eat. Thanks! Mel, I have not heard from any of my blog readers that anything has changed there. You should be good to go. Thanks so much for this! We are a family of 5 and 2 in our family have Celiac. We're so excited to be able to eat at Teppan Edo!